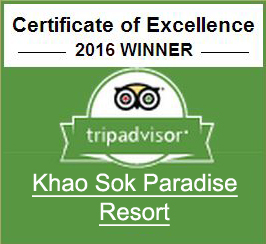 Immerse yourself in the Khao Sok National Park experience with a two-night/three-day tour package. This package includes activities as provided by the resort, plus meals and lodging. National parks fees and drinks are not included. Meet with your English-speaking tour guides at the resort. Savor a flavorful Thai lunch at noon, and then enjoy a ride down the Sok river. Depending on water levels, canoeing or tubing will be available. Relish a freshly-prepared dinner and spend the night in your private tree house room. Tuck into a hearty breakfast, then spend quality time with an elephant at a dedicated elephant sanctuary run by committed conservationists. Here you can hand feed, give your elephant a mud spa experience and bathe them at a waterfall. 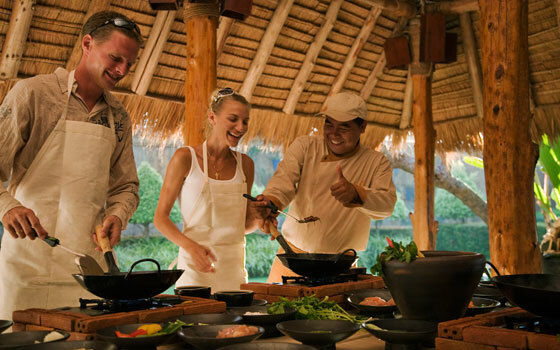 Afterwards, learn to prepare an authentic Thai meal with a professional local chef. A night-time safari into the jungle may reward you with a glimpse of the local wildlife. Spend the night in your nicely outfitted jungle tree house room. Enjoy a leisurely breakfast, our Resort staff can help you make plans for your next destination.